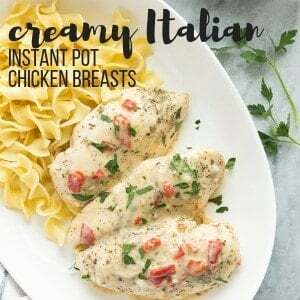 Recipe first posted on Spend with Pennies. Soup is pretty much my favorite way to get loaded up an all kinds of healthy stuff, and this one is no exception. I’ve used onions, garlic, carrots and celery but you could add all kinds of vegetables here. Mushrooms would be great (if you’re into that sort of thing), peppers, spinach, kale, or even frozen peas stirred in at the end. I often do this to cool down the soup for my kids and it works like a charm (plus, extra veggies!). I know that a lot of Chicken Rice Soup recipes use wild rice, but with the long cook time I just didn’t think I wanted to go that route. You can, if you like, but keep in mind that it requires an even longer cook time that brown rice. We use brown rice because it packs more fiber and protein, but still cooks in a reasonable amount of time. And we always have a giant bag around! As mentioned above, feel free to swap out the vegetables or add more in! 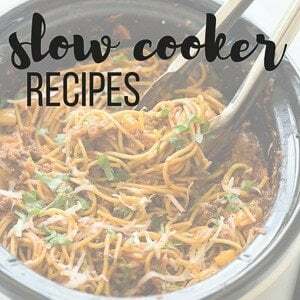 You do need to keep cook time in mind though and may want to add them at the end if they are quick cooking (like broccoli for example, unless you like it very tender). I use brown rice, but you could also use wild rice (a much longer cook time) or white rice (a lesser cook time). Again, keep in mind for the swaps you make you may need to adjust the liquid and cook time. 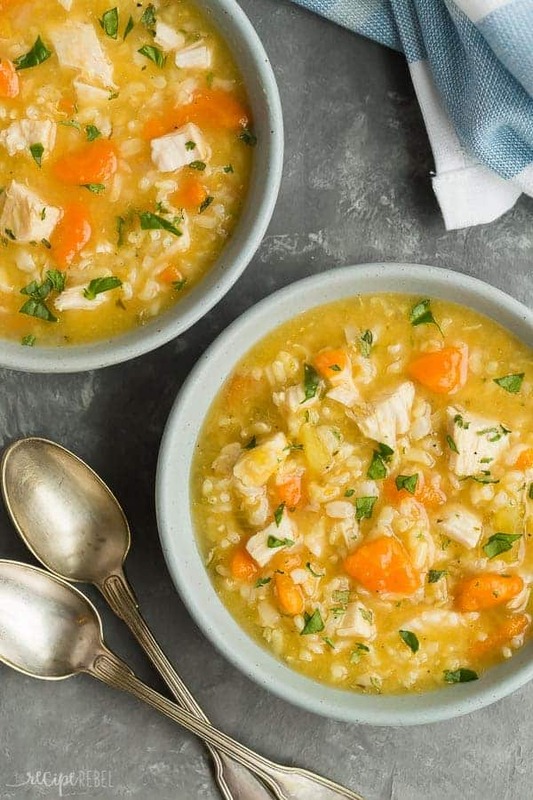 If you really want this to be quick, you can use instant rice, but you may want to leave it out of the soup until the carrots are cooked because they can take a while to become tender and you don’t want mushy rice! This soup is naturally gluten-free, but double check all of your packages to be sure. This soup can easily be made dairy-free, by omitting the milk or cream. This soup is great refrigerated and reheated, so feel free to make a large batch on the weekend for quick, easy meals during the week. Low fat milk does not freeze well and will separate. If you know you plan to freeze, I recommend using whole milk or even cream as the higher fat content does better when frozen and thawed. Cool to room temperature, then place in a large freezer bag, seal completely, and lay flat to freeze in a thin layer. 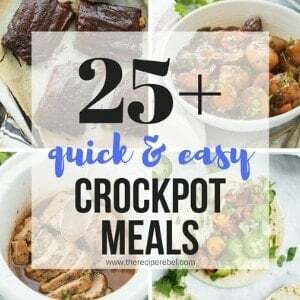 This will help the soup to thaw quickly when you need it for dinner! To thaw, you can submerge the bag in lukewarm water until thawed, then reheat to desired temperature in the microwave or on the stovetop. Add the veggies, broth, chicken and rice to the slow cooker and cook on low for 6 hours. Remove chicken and shred. Add back to the slow cooker with the evaporated milk. 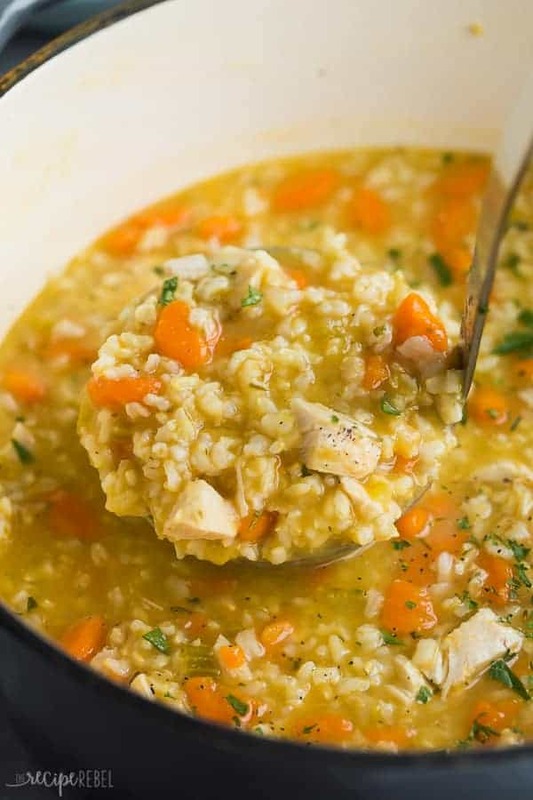 This Chicken Rice Soup is a hearty, healthy soup recipe that's perfect for fall! Loaded with vegetables, lean chicken and brown rice it can be made stove top or slow cooker. In a large soup pot, heat oil over medium-high heat. Add onion, carrots and celery and cook and stir for 3-4 minutes, until onion begins to turn golden. Add garlic, parsley and thyme and cook 1 minute. Add broth, chicken, rice, salt and pepper. Stir and bring to a boil over medium-high heat. Reduce heat to medium-low (a simmer), cover, and cook for 30 minutes, stirring every 10 minutes, or until vegetables and rice are tender. Remove chicken from pot and shred. Add back to the pot with evaporated milk. Serve. *NOTE: carrots will be very tender by the time the rice is cooked. If you prefer your carrots with more bite to them, add them after the first 10 minutes when stirring the soup. Very delicious and we love it on a cold day! What kind of rice do you use? Minute rice? Sorry for the confusion! I’ve updated the recipe to be more specific. I use long grain brown rice, but you could use instant rice, you’d just need to reduce the cook time significantly. Do you use raw chicken in the soup or cook it in advance before adding it? Thanks! I use raw chicken! Super easy! Everyone loved this soup! My kids even asked for seconds! Thanks Anna! So happy to hear that! So flavorful and satisfying, thank you for sharing this! This is amazing! Perfect for winter weeknights. Yes! I’m craving so much soup! 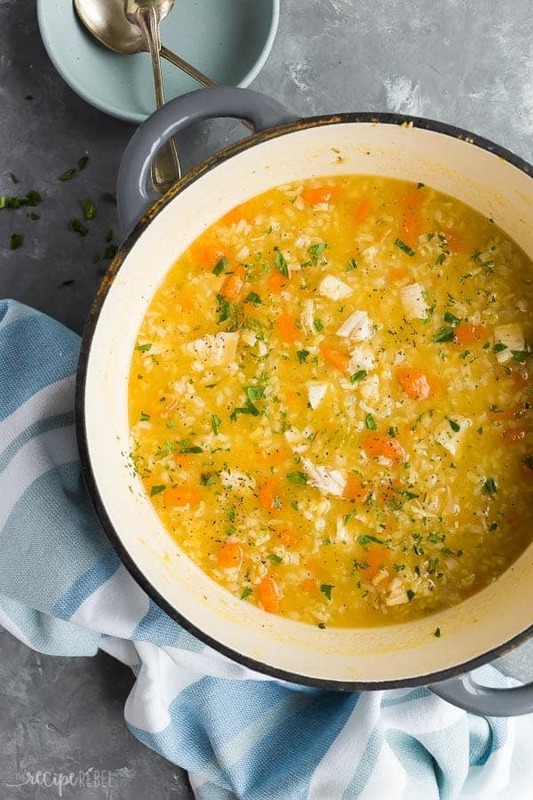 I love this soup, so comforting and delicious! This soup is just so delicious! I am thinking I need a big bowl for lunch! Hello! I made this recipe, but I basically tripled it. I used canola oil and fried the chicken on both sides (4 mins each side on medium high heat. I used boneless chicken theighs and breasts. Then I removed the chicken on a plate. Then I added 4 stalks celery and 8 smaller carrots chopped small in the same oil on medium high heat for 10 mins add 1 ex large onion for another few minutes then Add 2 small garlic cloves minced. Cook another two minutes. Add 5 cans of chicken stock and 1 tsp thyme. Add one cup of white rice and add chicken not cut; bring to boil stirring often reduce heat to Simmer for 25 minutes. Remove chicken and left cool a bit. Chop in small pieces. Do NOT shred. Add chopped chicken and 1 can of evaporated milk.! Add a squeeze of fresh lemon juice if you have on hand. Sooooooo sooooo yummy! I didn’t use low sodium chick broth, added 1 tsp of salt. No pepper and no parsley. Thanks for sharing your tips Katie! I’m so glad you liked it! This was very good! Mine didn’t turn out to be that pretty yellow broth color though. Any idea why? 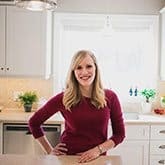 I cooked it in a slow cooker and I’m wondering if that was it? I’m not sure! What colour would you say it was? I’m glad that the flavor was good! OMG!! This is outstanding. Seasonings ratios are perfect!!! I added a pinch of Rosemary for a twang, Thanks for sharing your gift!!! Do you cut up the chicken before adding it? Does the whole milk or cream take the place of the evaporated milk? And you don’t indicate how much corn starch to use in the crock pot variation. Can you advise? Sorry Toni, that was confusing! I had simplified the recipe in the box but forgot to update the crock pot instructions. I hope it makes more sense now! Can you make this without the evaporatored milk? Thanks! I just made this and it is delicious!! Thanks Kathy! That makes me so happy!